different spin on old things. 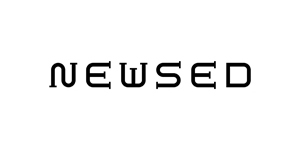 NEWSED is now available at C.J.Mart. (C) NEWSED All Rights Reserved. ――Please tell us how you started your brand concept. We appointed design team minna to the design director in 2010 and started re-branding. We started to create "an up-cycle brand that creates new products by putting a different spin on old things". We are manufacturing products by taking advantage of the unique "story" and "background" of the scrap materials. ――You are holding a Design Award every year. Are the new products selected from the Design Award? Do you ask the design to the designer? Roughly, there are two ways of commodification. One is from NEWSED UPCYCLE DESIGN AWARD. we do trial sales and analyze the "manufacturing process" for production and make a "sales forecast". ※We have commercialized the winning designs on both of our past events. And the other way is that we ask designers to develop products by utilizing attractive scrap material that we have. And another way is that we ask the designer to develop the products by utilizing attractive waste material. are they made by your staff? How many people are involved in the production? Although our staff is in charge of manufacturing management of the products, we outsource the actual production to factories and regional workshops. There are a total of about 15 to 20 people, including package production and inspection staff, involved in the production of NEWSED products. ――Are the factories which provide you the materials, are they in Japan or overseas? What kind of reaction do you receive from them about the concept of NEWSED? So far, all materials are offered from domestic companies and factories. They are surprised to know that the products are made from scrap materials, and a consultation for utilizing scraps has been increasing every year. They love the products and they get more interested by knowing the story behind scrap materials. They say that they want to tell people about the project. ――Do you have a material that you want to try to use in the future? No specific material. We want to continue to create attractive products that can be used for a long time and make you want to tell the story to others. ――Please tell us about this project with C.J.MART. Although NEWSED is not a brand claiming COOL JAPAN, it is an honor to work with C.J.MART which carries very attractive Japanese products. We wanted to start introducing NEWSED products to overseas so we look forward hearing the response from overseas customers. so we will collaborate with new designers and continue producing attractive products utilizing scrap materials. We are also presenting AWARDS every year, so please check by all means.